In business and corporate banking, commercial lines insurance and broker / consultant distribution channels, some common lessons can be learned from what clients say they want from their product providers, compared to what they actually get. Research-based feedback from across a number of B2B financial services sectors, highlights the need for improved engagement and collaboration with clients, rather than a product sales push. 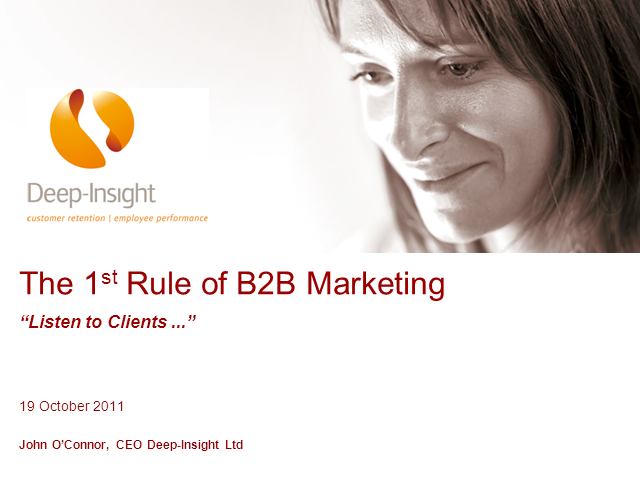 With some client case studies, we ask what best practice in B2B client relationship management looks like.